American Football waited 17 years to release the follow-up to their seminal 1999 debut, but they’ve already announced their third album. American Football, the third self-titled entry in the band’s oeuvre, is due out March 22 via Polyvinyl Record Co. The band released the record’s first single, the 7-minute epic “Silhouettes, in December, and today, they released “Uncomfortably Numb” featuring Paramore’s Hayley Williams along with an accompanying video. The slow, meditative track largely sticks to the band’s roots, but it owes more to the mature musings on modern life from frontman Mike Kinsella’s solo project Owen than it does to the more youthful angst of American Football. It’s a lovely song all the same. The video for “Uncomfortably Numb,” directed by Atiba Jefferson, features appearances from Workaholics star Blake Anderson, pro skater Paul Rodriguez, and Samhain drummer London May. 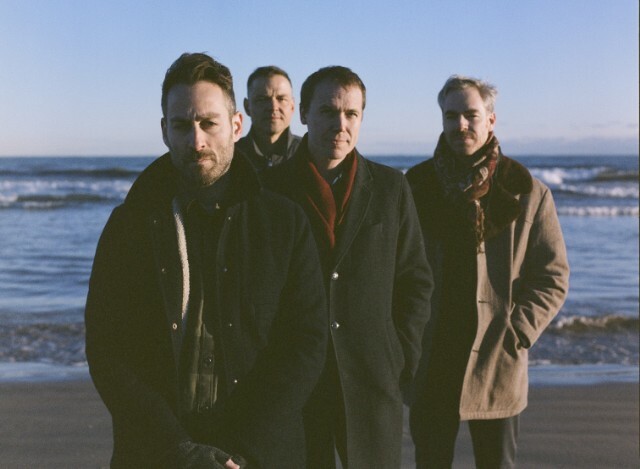 Along with the single and video, American Football also announced dates for a North American tour this spring. Tickets for the tour go on sale Friday, January 25. Watch the video for “Uncomfortably Numb” and check out the full tour schedule below.